James Newman, MD, FACS, is a fellowship-trained facial plastic surgeon who is certified by both the American Board of Otolaryngology and the American Board of Facial Plastic and Reconstructive Surgery. He holds numerous advisory board positions with reputable institutions focusing on the development of new technologies for plastic surgery. Dr. Newman is also on the clinical faculty at Stanford University and is a consultant to Palo Alto Veteran's Hospital and Valley Medical Center in Santa Clara. He is widely recognized among his patients and colleagues as an extremely talented and experienced facial plastic surgeon capable of delivering stunning surgical outcomes. In fact, he has been named one of the Silicon Valley's Top Physicians by San Jose Magazine. Dr. Newman routinely lectures on popular subjects pertaining to facial plastic surgery both nationally and internationally. Dr. Newman offers a variety of facial plastic surgery procedures, including rhinoplasty (nose reshaping surgery). The goal of nose surgery is to reshape and enhance the appearance of the nose, making it appear more proportional and harmonious with other facial features. When performed for cosmetic purposes, Dr. Newman offers closed rhinoplasty surgery, which involves surgical incisions on the inside of the nose for minimum postoperative scarring. Dr. Newman also performs reconstructive nose surgery to address congenital deformities and facial injuries, as well as laser turbinate surgery to improve nasal breathing and repair nasal fractures. In addition to rhinoplasty, Dr. Newman routinely performs facelift surgery, eyelid lift, brow lift, chin augmentation, facial implants surgery and cheek augmentation, among other procedures. He also offers scar revision surgery, facial cancer excision and facial restoration procedures after injury. Dr. Newman is experienced in various minimally invasive facial rejuvenation treatments and offers the latest laser-guided cosmetic procedures and facial injectables, including Botox and dermal fillers. Premier Plastic Surgery is an accredited surgical facility. Dr. Newman practices plastic surgery at Premier Plastic Surgery, a fully staffed, accredited, leading-edge surgical facility equipped with the latest, state-of-the-art technology. Premier Plastic Surgery is home to board certified anesthesiologists and body contouring plastic surgeons performing breast augmentation surgery, tummy tuck, liposuction and more. To schedule a one-on-one consultation with Dr. Newman and learn more about your facial plastic surgery options, please contact Premier Plastic Surgery in Palo Alto at (800) 250-9572 or in San Mateo at (800) 884-4081. What Do Patients Say About Dr. Newman? "My nose is fantastic. Being able to breathe better and having a great profile is exactly what I wanted." "You are truly an artist! I am so happy with the natural results that make me look and feel wonderful." James Newman, MD, FACS, received his undergraduate degree from Baylor University and his medical degree from the University of Texas. In recognition of his outstanding academic performance, Dr. Newman was honored with the Jimmy Dickinson Award and received honors recognition in surgery, after which he was asked to join the prestigious Alpha Omega Alpha medical honor society. Dr. Newman completed a five-year residency in head and neck surgery at Stanford University, where he performed more than 1,000 surgeries. He continued his training with a fellowship in facial plastic and reconstructive surgery at Stanford University and joined the school's faculty. 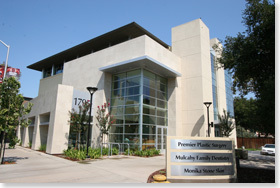 Dr. Newman holds surgical privileges and is on staff at several medical centers in the South Bay Area, including Mills-Peninsula, El Camino and Stanford University hospitals. He is a Fellow of the American College of Surgeons, the American Academy of Otolaryngology-Head and Neck Surgery, the American Society for Lasers in Medicine and Surgery and the American Academy of Facial Plastic and Reconstructive Surgery. Dr. Newman is also a member of the Santa Clara Medical Association, the International Society of Hair Restoration Surgeons, and the World Society of Aesthetic Surgery, and is on the executive board for the California Society of Facial Plastic Surgery. 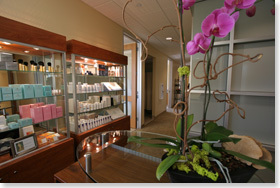 Dr. Newman also treats San Jose / South Bay facelift and eyelid surgery patients. Please visit the respective pages to learn more.